Mr. Andrew Walo, Dr oec. publ. has been the Chief Executive Officer of the Axpo Group and Axpo Holding AG since February 1, 2014. 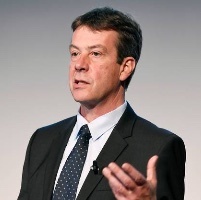 Mr. Walo has been a Member of the Executive Board at Axpo Holding AG from October 1, 2004 and served as its Chief Executive Officer of Centralschweizerische Kraftwerke AG from October 2004 to January 30, 2014. From 2001 to 2004, Mr. Walo served as the General Manager of SN Energie AG and Kraftwerke Zervreila AG in Vals. Prior to this he held several managerial positions with Alstom and ABB.